Even from the very beginning of their split Jennifer Garner and Ben Affleck show that sensitivity and devotion to the kids is the top priority. They're quoted by People Magazine saying, "We go forward with love and friendship for one another and a commitment to co-parenting our children." 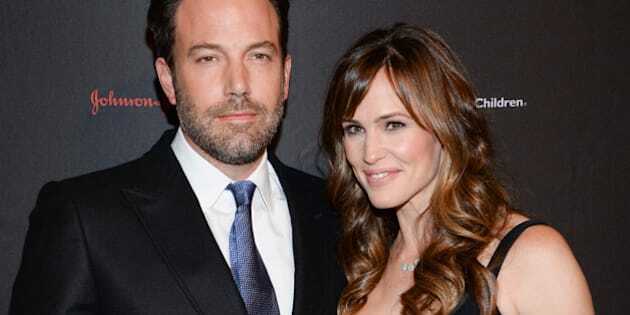 Even from the very beginning of their split Jennifer Garner and Ben Affleck show that sensitivity and devotion to their kids is the top priority. They're quoted by People Magazine saying, "We go forward with love and friendship for one another and a commitment to co-parenting our children." In the decision to end the marriage they understand that parenthood is forever and they will do whatever needs to happen in the best interest of their children. Being conscious, careful and choosy about what your kids hear and see is essential and every ex-spouse can learn to develop co-parenting skills so the kids can thrive in healthy and happy environments. When newly divorced, it's hard to imagine that you and your ex-spouse will ever be civil with each other again. Divorce puts an end to marriage but parenthood is forever. Kids who've lived through an ugly split are more likely to suffer from anxiety, depression and self-esteem issues, and more likely to drop out of school. I tell my stories of co-parenting through conscious communication to help other women and men know that they don't need to be part of that sad statistic. Conscious communication is a way of talking and listening that focuses on building healthy, mutually beneficial relationships. My a-ha moment came when I found my stepson chewing away at his security blanket every night until it was in pieces. My husband and I were having a profoundly negative effect on him. We had to stop the negative patterns in our conversations with each other for the sake of our child's well-being and I immediately understood that it was up to us to change. Focus: Your child needs one parent as much as the other. Let your child have access to both parents and step-parents freely and put his or her best interests before your own. Criticize: Do not take things personally. Especially, do not criticize or argue with the other parent in front of your child. Make the effort to be in a mindful place. Respect: Greet each other in front of your child when meeting at school activities, pick-up, etc. Talk as adults and respect each other's choices. Communicate: Be aware of all aspects of your child's development. If verbal communication is difficult email or text. Consider your words carefully, and stay calm and coherent prior to hitting send. One issue per email or text message. Popularity Contest: Do not try to outdo the other parent by buying all kinds of electronic toys, sport activities, etc. Work as a team as much as possible. New Companion: Use fair play with the other parent's companion -- do not bad mouth. Keep your ex-spouse informed about changes in your life circumstances. Optimistic: Drop the drama, set aside any differences, be optimistic. Life gets better. If you begin to model positive, productive behaviour through conscious communication with your ex-spouse, your child will flourish. Which of these seven attributes do you struggle with most? Please share your comments below and let's start a conversation.